People are seeking new ways to hunt—keen to preserve primal skills without harming wildlife—artistic and athletic goals the target for modern hunters! Hunting is part of the human story, our survival rested upon learning the skills of capture and kill—but overtime with food abundance, hunting become a sport. Modern hunters still seek mastery of the ancient instincts, only for a different purpose—to create art and to develop physical and mental prowess. Hunting which involves tracking, awareness and observation, endurance, strength, agility and accuracy—have vital purpose and benefit to humans—an equation that works without killing. In this edition we explore the alternative applications of modern hunting. Photographer Ole Jorgen Liodden teaches us about polar bears and humans—how we can shoot to capture not kill, with mutual and monetary benefits to people and wildlife (p.89). The following video offers a glimpse of what modern hunting can and should look like! Then extreme athlete Ben Greenfield shows us how hunting without killing has become part of a growing interest in primal pursuits and adaptive fitness (p.95). Photography guide Darran Leal takes us on a journey of exceptional experiences with World Photo Adventures (p.41). We learn the nights language of light and landscape with astrophotographer Mike Shaw (p.146). And venture into the jungles of Borneo with Bjorn Olesen and Fanny Lai for a visual celebration of the island’s unique wildlife. Also in this issue Ultra elites: Rich Roll, Jason Koop, and Dean Karazes offer insight into the ancient origins of running and the future of human endurance. A guest piece by Negotiation expert Chris Voss on navigating conflict zones and History Detective Carol Baxter reveals the remarkable story of Aussie aviatrix, Chubbie Miller. 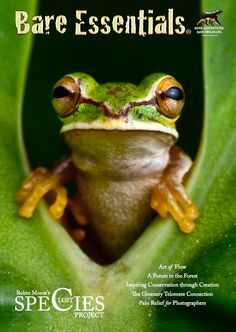 Every page filled with images telling natures story, unique insights and discoveries—dive in and enjoy the adventure!